Enjoy the best inspirational, motivational, positive, funny and famous quotes by Andrew Jackson Downing. Use words and picture quotations to push forward and inspire you keep going in life! Architecture, either practically considered or viewed as an art of taste, is a subject so important and comprehensive in itself, that volumes would be requisite to do it justice. 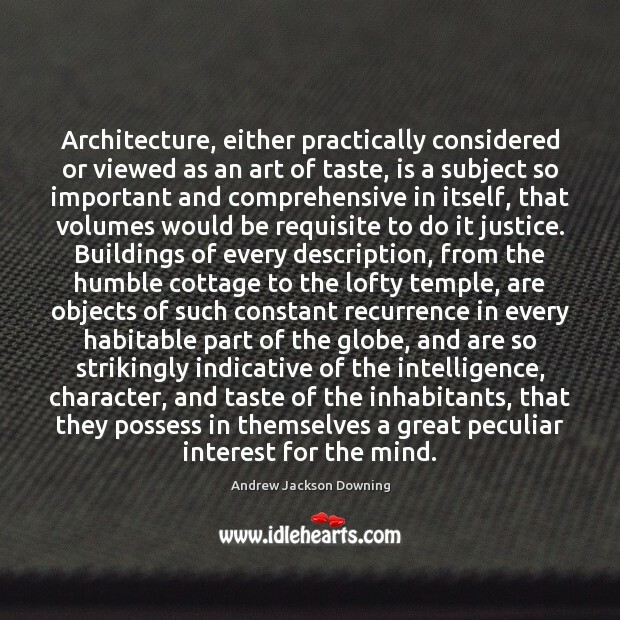 Buildings of every description, from the humble cottage to the lofty temple, are objects of such constant recurrence in every habitable part of the globe, and are so strikingly indicative of the intelligence, character, and taste of the inhabitants, that they possess in themselves a great peculiar interest for the mind. 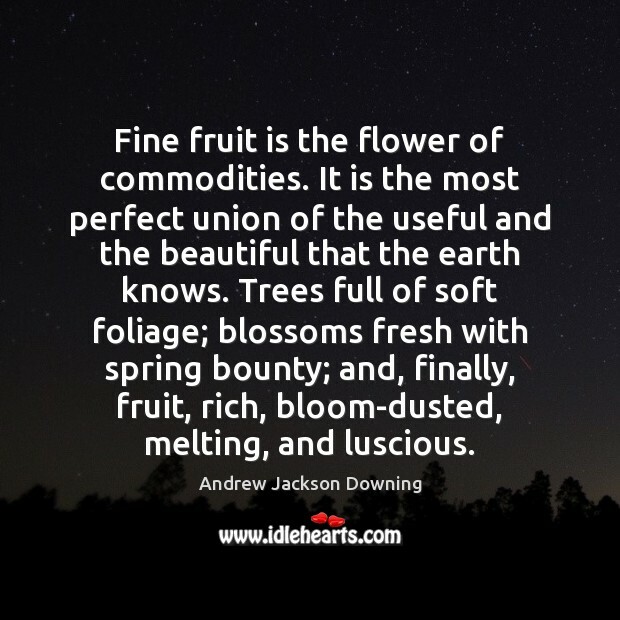 Fine fruit is the flower of commodities. It is the most perfect union of the useful and the beautiful that the earth knows. Trees full of soft foliage; blossoms fresh with spring bounty; and, finally, fruit, rich, bloom-dusted, melting, and luscious. 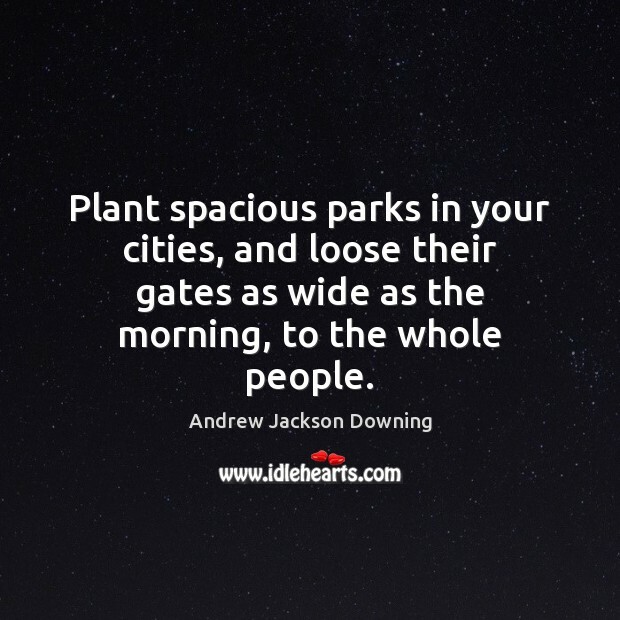 Plant spacious parks in your cities, and loose their gates as wide as the morning, to the whole people. 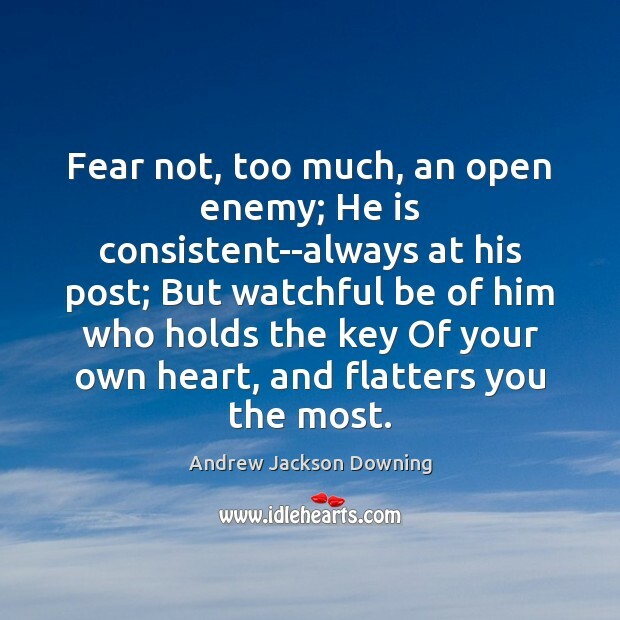 Fear not, too much, an open enemy; He is consistent--always at his post; But watchful be of him who holds the key Of your own heart, and flatters you the most. 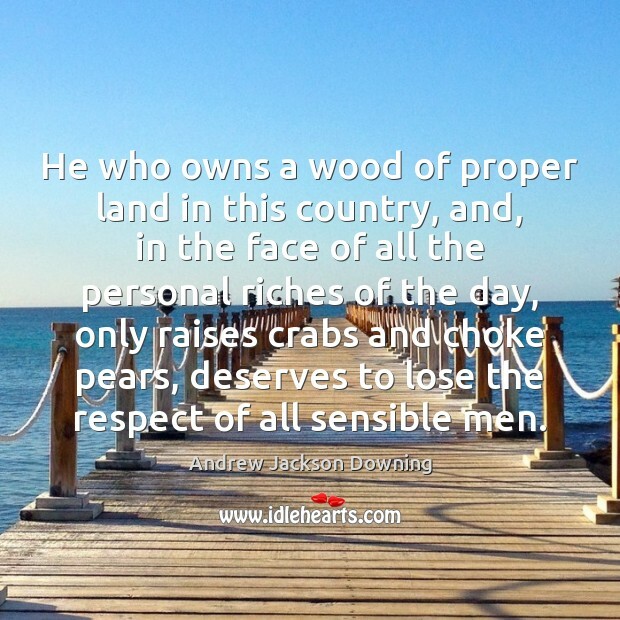 He who owns a wood of proper land in this country, and, in the face of all the personal riches of the day, only raises crabs and choke pears, deserves to lose the respect of all sensible men. 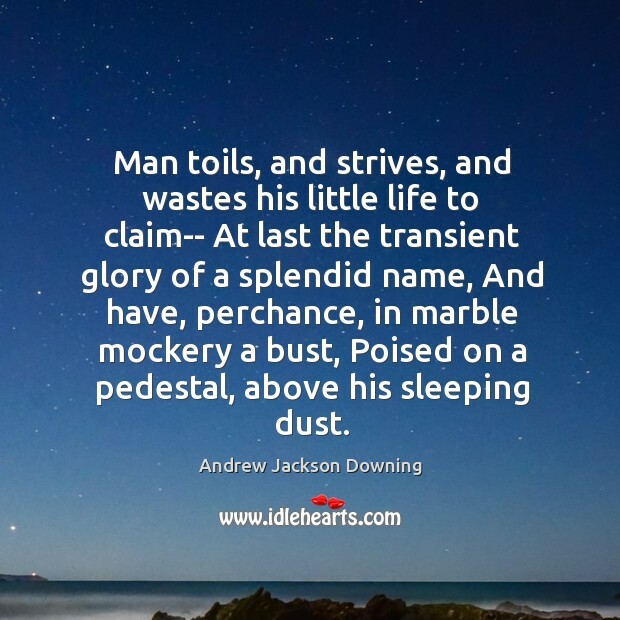 Man toils, and strives, and wastes his little life to claim-- At last the transient glory of a splendid name, And have, perchance, in marble mockery a bust, Poised on a pedestal, above his sleeping dust.